It's been a while since we heard from the Ohio natives that make up Fly Union. Today they come to us with a new joint titled "Seen This Before," ..
Ohio production team/hip-hop trio Fly Union have returned to release the latest installment in their popular Value Pack EP series. After .. 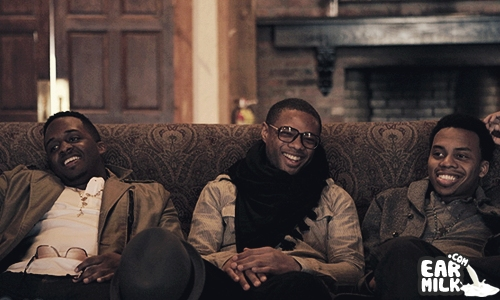 While there's still no word on an official release date for Ohio hip hop trio Fly Union's forthcoming album, tentatively entitled TGTC ..
BJ The Chicago Kid – "Hay"
Having featured on some of last year's dopest projects such ScHoolboy Q's Setbacks, Kendrick Lamar's Section.80 and TiRon & Ayomari's ..
Fly.Union – "The Hard Way"
The Columbus natives that make up the group Fly.Union give us a taste of what to expect of their upcoming project TGTC 2 (The Greater Than .. The wait is finally over people here we go and let loose the Ohio natives Fly.Union TGTC (The Greater Than Club) Album. You can just expect ..
Have a new video by Fly.Union called "The Statement" which is to help promote their upcoming album TGTC (The Greater Than Club) , drops tomorrow. .. Brand new track by the Ohio group Fly.Union which will appear on The Greater Than Club, dropping April 26th. These guys never disappoint ..
Fly.Union is a groups i just started listening to not so long ago and they have just drop a Free Ep "Value Pack 6" which have no features. ..